As well as announcing the new multiplatform Adobe Premiere Rush CC video editing application at Adobe Max 2018 this week. 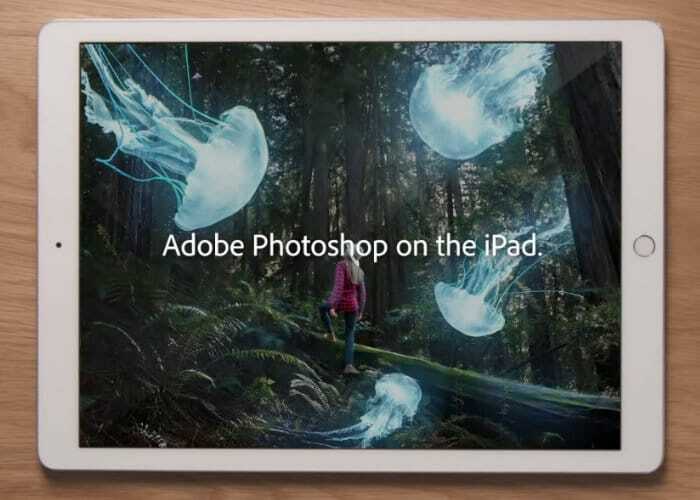 Adobe has also announced the creation of the new Photoshop application specifically designed for the iPad. Watch the demonstration video below to learn more about the new Adobe Photoshop iPad app created to bring Photoshop to the iPad rather than offer a restrictive tablet alternative. “This isn’t something new, it’s familiar. It’s the real thing” says Adobe. – It shares the same code base as its desktop counterpart, so there’s no compromises on power and performance or editing results. – Creative work you do in Photoshop on the desktop you can also do on your iPad, with the exact same PSD files with the edits right where you left off. We will release a smaller set of features on the iPad first so we can ship the 1.0 version to you quickly, and gradually add the rest over time. – When you open it, you’ll find a toolbar with the core iconic tools and powerful layer system for advanced control. You’ll also find selections and masking, filters, adjustments, and much more. – But we’re completely rethinking the user experience for a modern touch device. You’ll find it familiar, but also adapted in smart ways for the device. 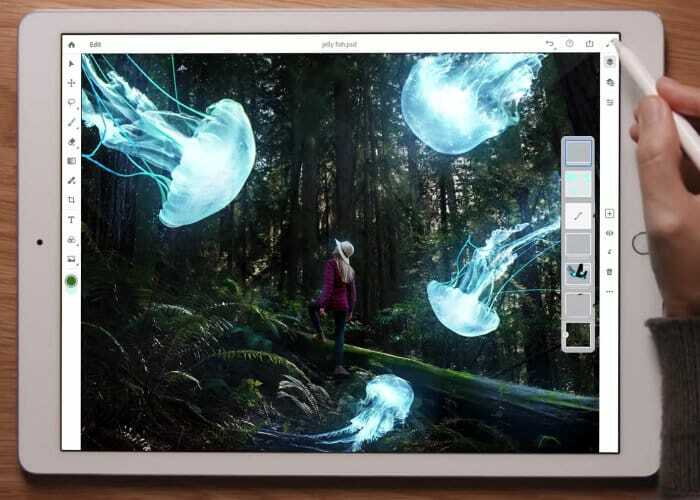 – We’ve designed Photoshop on iPad with natural touch gestures in mind to speed up workflows. For more details on the new Photoshop iPad app jump over to the official Adobe website by following the link below. As soon as more information is announced regards a launch date date for the Adobe Photoshop iPad app will keep you up to speed as always.